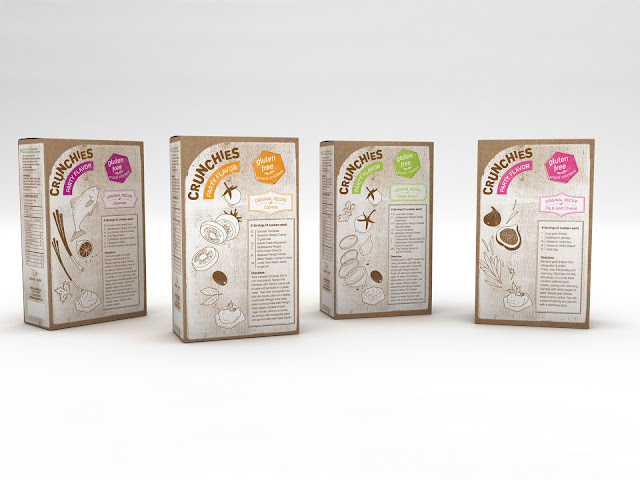 Designed by Squat Design, United States. 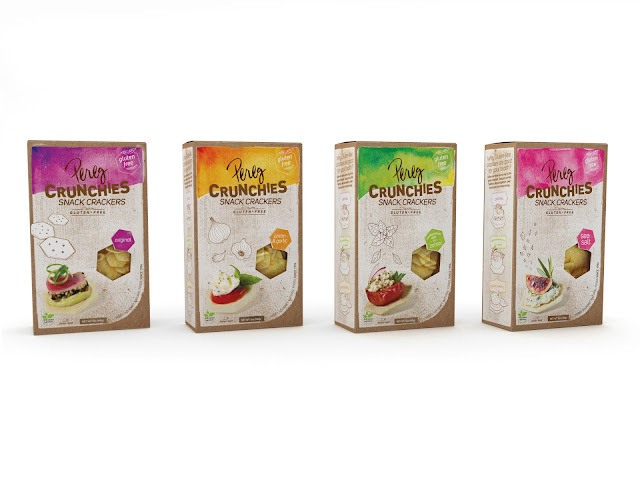 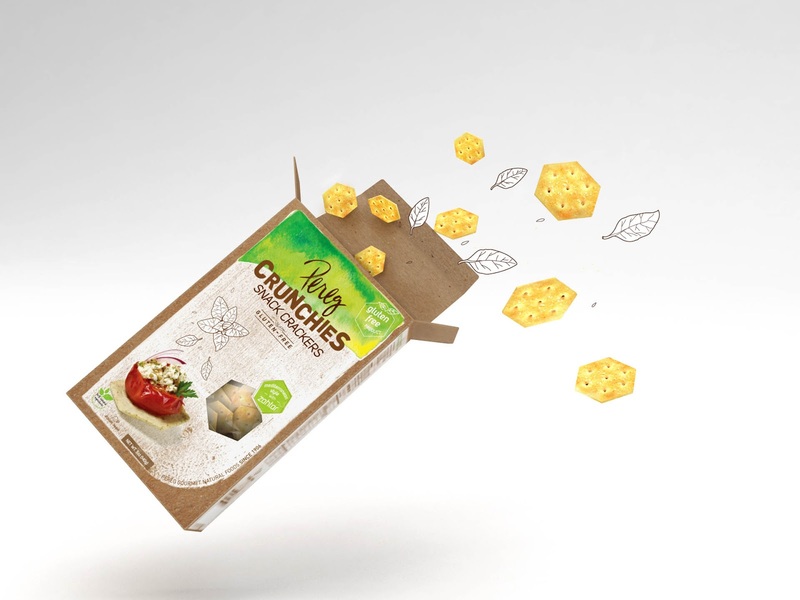 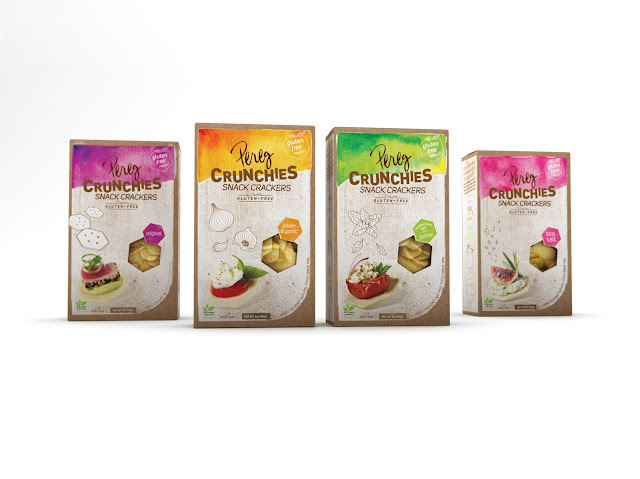 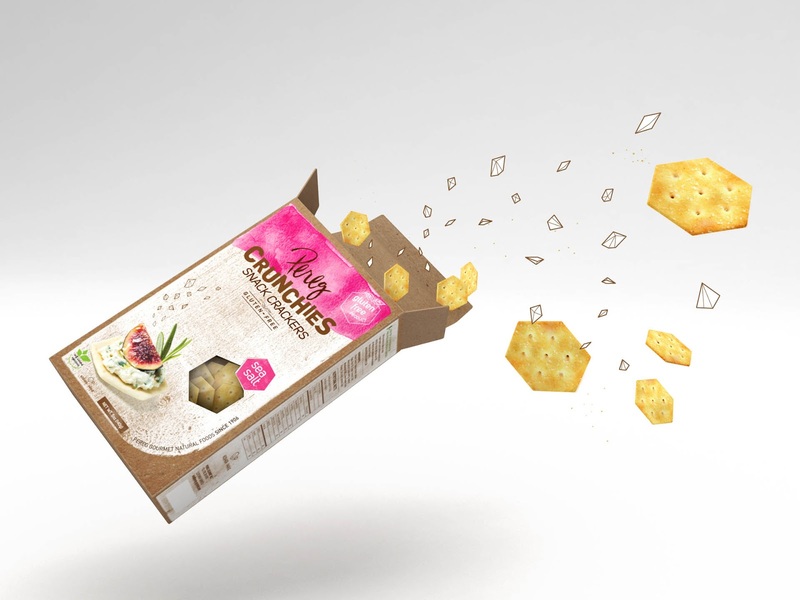 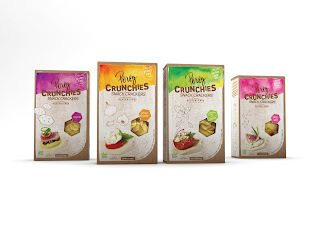 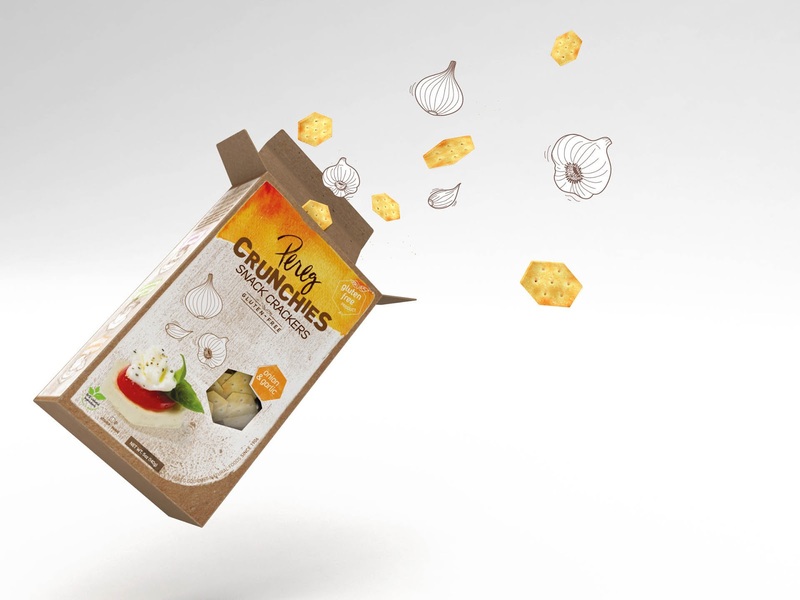 Pereg Gourmet Natural Foods, a leading spice producer, approached Squat Design to create innovative packaging for its new line of crackers, which consisted of 4 delicious and original flavors. 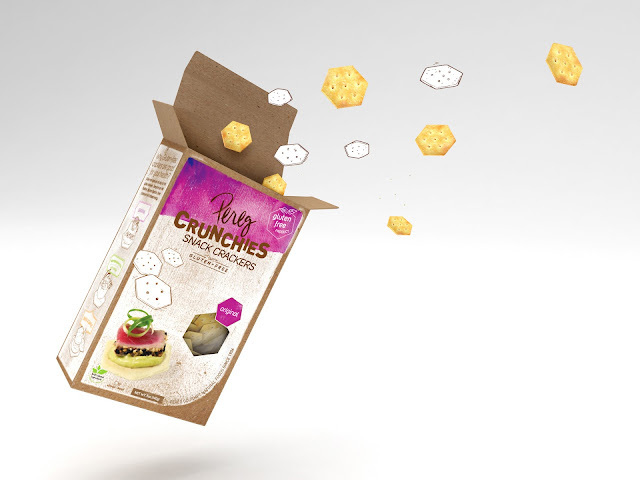 Using watercolor techniques, Squat Design succeeded in depicting the “Crunchies” in a festive and appetizing way. The package conveyed flavor-bursting taste. Recycled, raw-type paper adorned with illustrations, gave the packaging a natural feel. Each savory “Crunchie” was paired and photographed with a different topping and was accompanied with the original recipe.